Using a reference management software is necessary when writing scientific articles, or any other kind of article, to manage bibliographic data. One of the most popular tools is EndNote, but EndNote is not a free software. I use Zotero instead, which is free and open-source. Zotero is a great tool and works perfectly. The only problem is that the output style that supports the formatting of references required by publishers is usually an EndNote style file, a file with .ens extension. Zotero manages style files with .csl extension. Currently Zotero provides a list of 6,789 styles in their website here, so this shouldn’t be a problem. But what to do if the required style can’t be found in the Zotero list? Or what to do if you don’t even know the name of the required style? Exploring the styles one by one, even using the search filters can be tedious. I recently discovered a great solution: the following web page, http://editor.citationstyles.org. In this web page we can find a style in CSL format by its name, as we can do in Zotero web page, but the interesting functionality is the “Search by example” one. If you don’t know the name of the style, but know what the final citation should look like, you can use our search by example tool to find styles that most closely match. So, I want to publish in the journal named “Journal of Medical Systems“. This journal, in the Instructions for Authors section, provides just the .ens file to format the references and gives no specific name for that style, just some examples. If I try to search it in the Zotero styles page, this journal can’t be found. The solution is using the search by example tool from here. Open the website and write in the inline citation input: “”. In the bibliography input, paste the example given in the journal instructions. Then, click on the Search button. The inputs and results are in the next screenshot. The highest match is 18%. Not what we were expecting, right?. This is because we didn’t use the same data than the example shown in the left edge of the screen. We have to edit the bibliography input to include the same information. 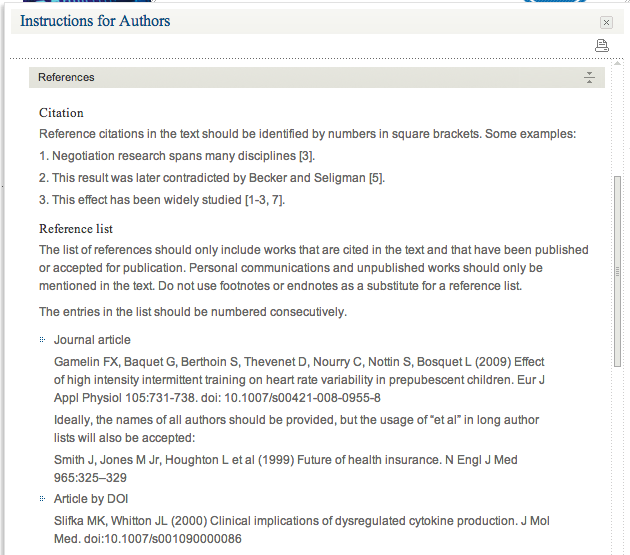 For this example, change the authors’ name, the year, the title, the journal name, the volume and pages, and the doi. Notice that while we rewrite the fields, the matched information is highlighted in the left box. Click on the Search button again. This time we get 99% match. We can view the details of the style, edit it and download it.